PENNSYLVANIA: New Calls Flood Clergy Abuse Hotline - Joe.My.God. A surge in calls to a clergy abuse hotline in Pennsylvania is breathing new life into a vast investigation of “predator priests” and Roman Catholic Church leaders accused of protecting them. The hotline has drawn more than 300 calls since the release of a withering grand jury report last week claiming church leaders protected hundreds of accused priests at the expense of more than 1,000 abuse victims. “We’re answering every call and following up every lead,” Joe Grace, spokesman for state Attorney General Josh Shapiro, told USA TODAY on Sunday. The redacted report detailed the latest in a decades-long series of claims of abuse and protection leveled against the church across the nation and around the world. 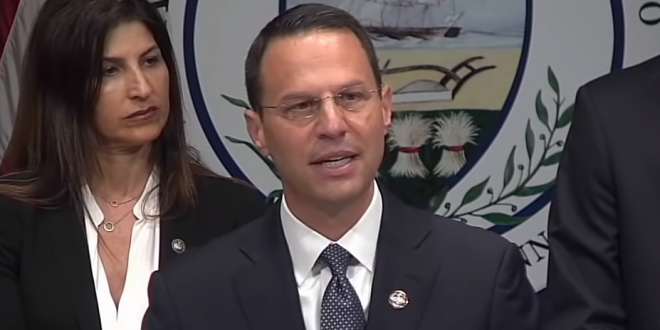 The report accuses church leaders in the state of discouraging victims from reporting to prosecutors the abuse claims that spanned more than 60 years. Calls are surging to our special Clergy Abuse Hotline since the Grand Jury Report was released Tuesday. We have trained, dedicated Agents on the line to listen to survivors and help.